Valencia Basket suffered it largest loss in Eurocup this season, a 97-82 eighthfinals Game 2 decision on the road against Khimki Moscow Region, but it was enough for the Spanish side to progresses to the Eurocup Quarterfinals thanks to a jumper from Pau Ribas with 9.2 seconds to go, that gave it 156-157 series victory. 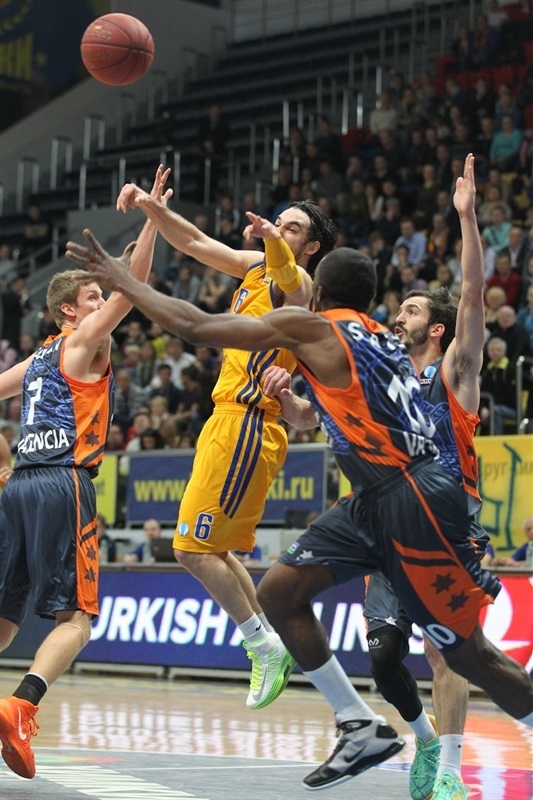 Valencia will play Alba Berlin in the quarterfinals, in a rematch of 2010 Eurocup title game. Khimki led from start to finish, with baskets from James Augustine, Marko Popovic and Kresimir Loncar mostly keeping the lead in the double-digits. The hosts finally broke the magic 16-point barrier with under 3 minutes to go, as Loncar extended it to 95-74 advantage, which translated into 154-149 aggregate score. However, Oliver Lafayette hit a key triple, and Ribas sank a series-winning jumper that sent Valencia through to the next phase despite a loss. Bojan Dubljevic paced Valencia with 23, and Lafayette netted 19. Romain Sato chipped in with 13 points plus 8 rebounds, while Ribas finished with 10 points for the visitors. 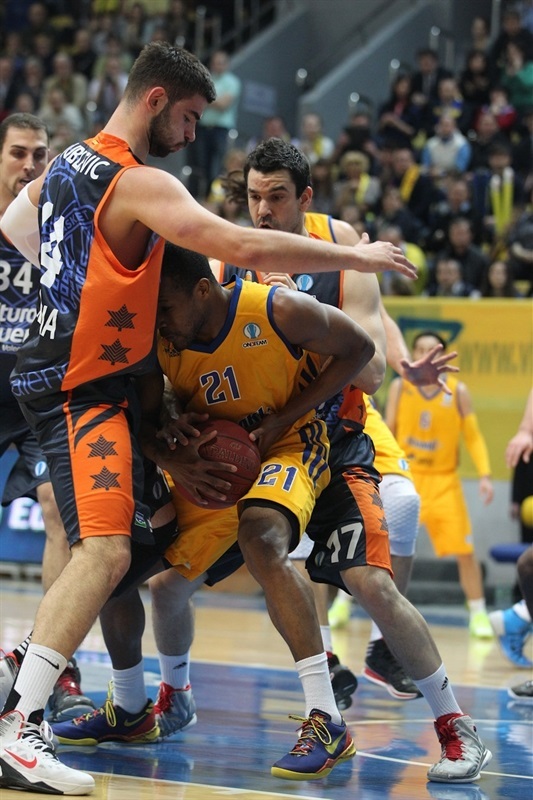 Augustine collected 20 points plus 7 rebounds, and Popovic also scored 20 points for Khimki. 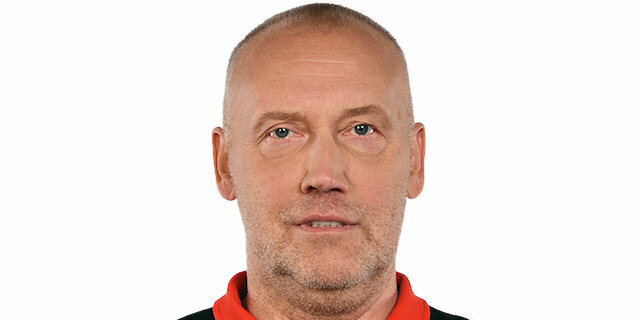 Loncar had 15 points, Mike Green scored 13 points with 8 assists, Petteri Koponen also scored 13, while Egor Vyaltsev netted 12 for the hosts. 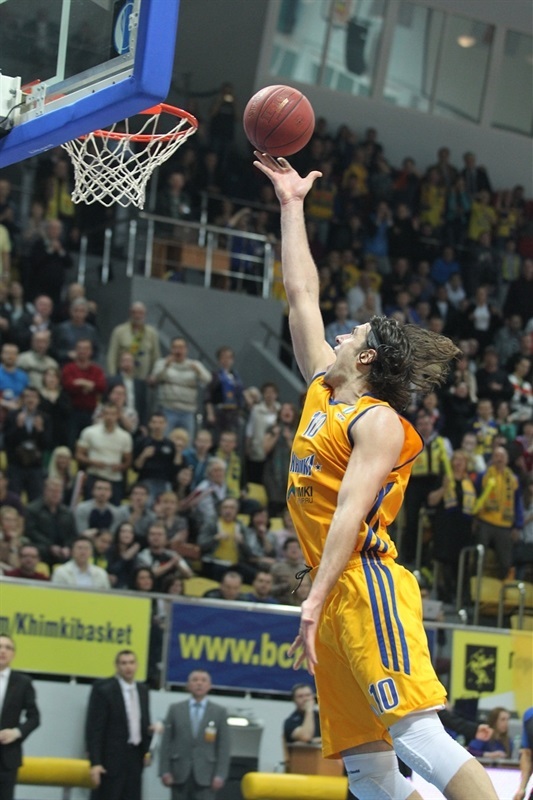 Khimki stormed out of the gate with a 9-0 run in the first 2 minutes - Loncar scored twice, Koponen hit a triple, and Vyatlsev scored a fastbreak dunk – cutting the series deficit to only 7 points right away. Justin Doellman hit a baseline jumper to open Valencia's account, before the visitors used offensive rebounding from Sato, that led to his pair of big dunks, to close within 11-9. Popovic came off the bench and immediately sank a three-pointer, and a put-back from Augustine helped Khimki stay with the lead, but Valencia replied with another put-back from Sato, and a triple from Laffayette, cutting the deficit to a single point, 21-20. However, Popovic closed the quarter with back-to-back threes for 27-20 (86-95 on aggregate), and Augustine strung together 7 points at the start of the second, before Vyaltsev burying a triple for 37-24, advantage that translated to only a 3-point series deficit. Led by Doellman, Valencia answered with a 0-8 run, briefly stopping the hosts' momentum. Green and Popovic each hit a three-pointer to get Khimki back to a double-digit lead, 45-34, but Lafayette inside and Dubljevic from long range helped Valencia cut it to 47-39 halftime score, meaning the visitors still held half of their 16-point margin from Game 1. Vyaltsev and Green hit back-to-back triples at the start of the third quarter, and Loncar got a lucky roll on a jumper for a 14-point lead, 57-43, and an aggregate score 116-118. Pau Ribas answered with back-to-back three-pointers in a span of 30 seconds, but Augustine and Popovic extended the margin back to 14 points from the foul line, 63-49. Before quarter's end, Lafayette scored three baskets from close range, and Dubljevic nailed one from the distance, but a jumper from Popovic in the last seconds made it 69-59, on aggregate 128-134 going into the fourth quarter. A triple and an uncontested layup from Dubljevic got Valencia as close as 69-64, but Koponen hit back-to-back three-pointers, and Popovic scored a fastbreak layup for 77-64. With the series margin only at 3 points again, Sato and Sam Van Rossom hit triples to make it 79-70, giving Valencia more breathing room. But the drama was only starting. Popovic, Koponen and Loncar hitting jumpers on consecutive possession for 92-74, as the hosts finally broke the magic 16-point barrier with 2 minutes to go, and took the series lead 151-149. After a timeout, Loncar scored a basket-plus-free throw for 95-74, capping an 11-0 run. However, Dubljevic scored from close range and Lafayyere hit a triple 37 seconds before the end to get Valencia back to a 15-point deficit, 95-80 (on aggregate 154-155). On the ensuing possession, Green put Khimki's lead back to 17 points with a layup, but he missed the additional free throw. Valencia had a final possession, and Ribas nailed a mid-range jumper with 9.2 seconds left. In the remaining time ball went to Popovic, who took and missed difficult off-balance jumper at the buzzer, prompting huge celebration from the visitors. "I would like to thank my players for their intensity and the great effort we saw tonight on the court. Before the game there were many doubters who didn’t believe in us. Moreover today we missed two very important players in Monya and Davis. Nevertheless, we came up and even playing with six players we practically won this game. Even despite this loss I’m satisfied with the way we fought. We had not much time for preparations, but I can’t blame my players with their effort. It’s a pity we didn’t advance to the next round. 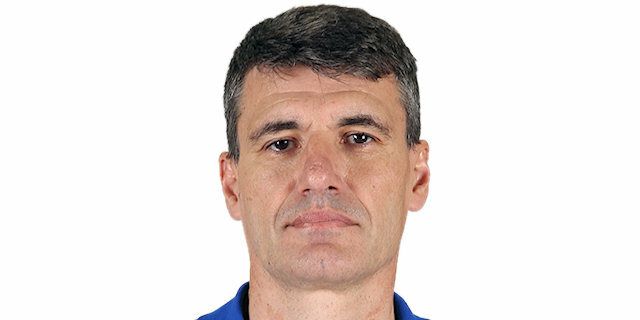 I would like to congratulate Valencia and Coach Perasovic and wish them all the best in the future." "It was a tough game for both teams. 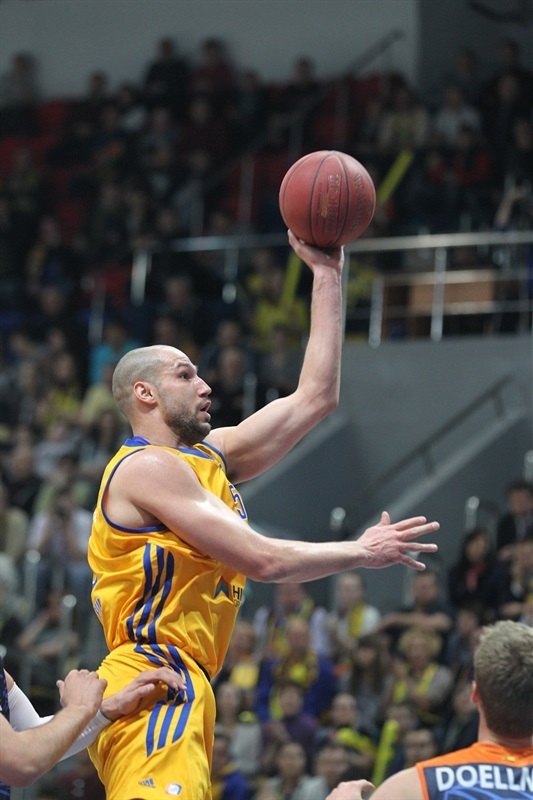 From the beginning we saw that Khimki were totally different from the first game. They played really tough. Offensively they scored very easy. In the first two quarters we were better on offensive rebounds, but in the final when we thought that the game could be easier and came to 5 points, they scored 8 points in a row. After that the game was crazy; in one moment we were out, but in the last moment we were down to 15 points. 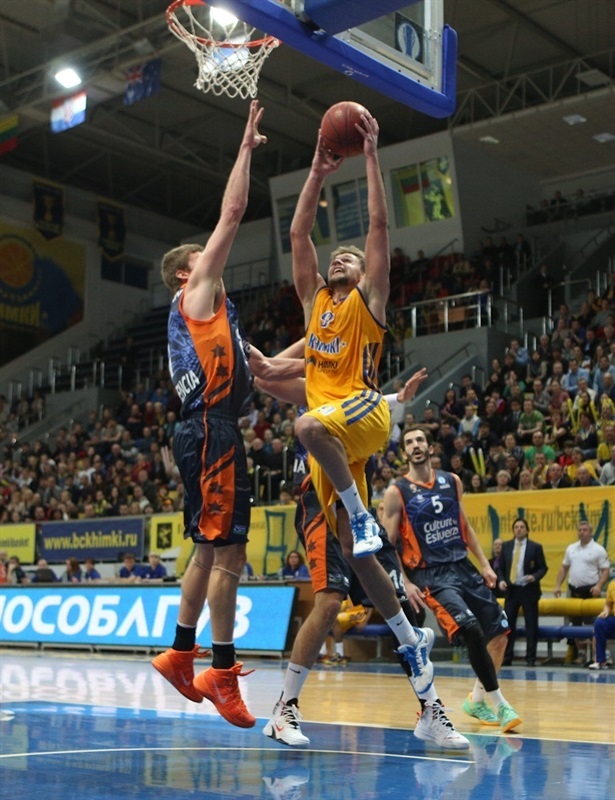 For me Khimki, and UNICS Kazan are two best teams in the competition, they show different styles of the game. We played with both teams and can compare. There are many good teams in the Eurocup and we have to go and face Alba Berlin. "